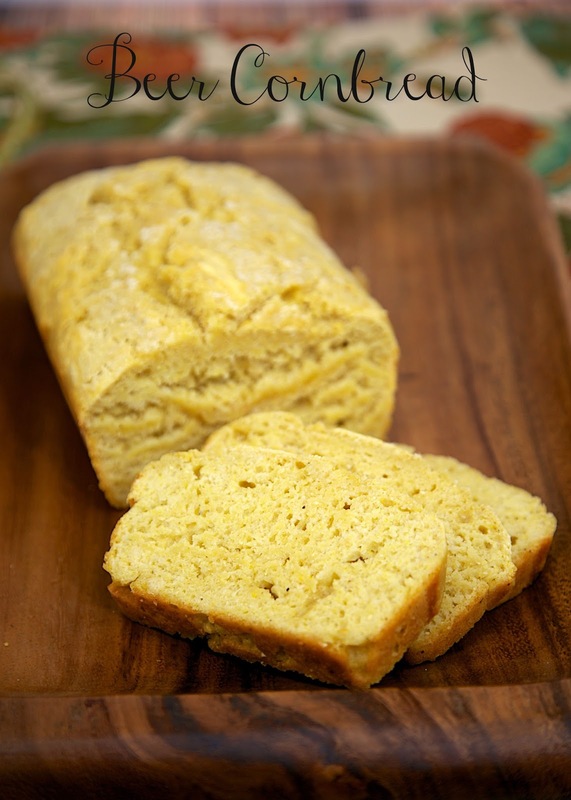 Beer Cornbread - quick beer bread that is great with soups and stews! Made with flour, cornmeal, baking powder, honey and beer. Great with soups and stews! We love to slather it with honey butter! YUM! 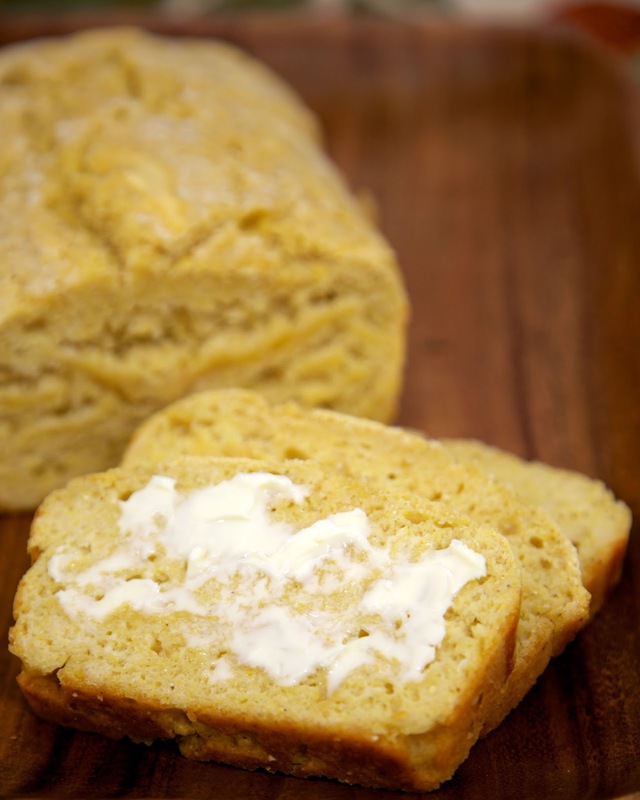 This quick bread recipe is a family favorite! We've been eating a lot of soups and stews over the past few week. They are easy to make and taste great leftover for lunch. I usually serve some bread or rolls with our soups and stews. I love to make beer bread and wondered what it would taste like with some cornmeal in the bread. I gave it a whirl and it turned out great! I added a little honey to the bread. I don't normally like sweet cornbread, but I thought the honey really balanced out the beer in the bread. Give this a try on your next soup or chili night! Preheat oven to 350ºF. Lightly grease a 9-inch loaf pan. Mix together all ingredients just until combined. Pour into loaf pan. Bake 40-50 minutes, until golden brown. That looks delish. I have so enjoyed the butter dip biscuits, so I will for sure try this! Can you tell me if this should have an egg? I made this for dinner tonight and found it to be very dense. It barely rose or browned. I did not use an egg. Sounds like your baking powder could be old. OMG!!! I grabbed the baking SODA instead of the POWDER! What a dope!! hahahahahaha Will definitely try this again. Sorry 'bout that!! I'm glad it was easy to figure out the problem. Good luck on the next try! Could you use self-rising flour in this recipe and omit the baking powder?